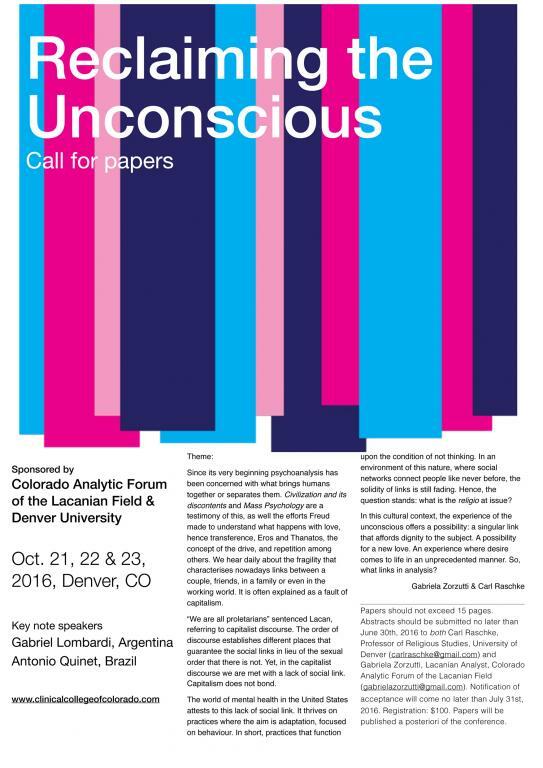 I am a Lacanian analyst from Argentina. My formation begun very early, while I was still in highschool. I begun analysis then, and this encounter changed my disposition for life. 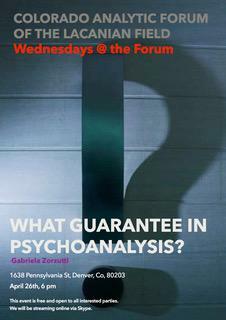 While going to college in my homeland, I begun studying psychoanalysis in reading groups, as well as continuing my own analysis. 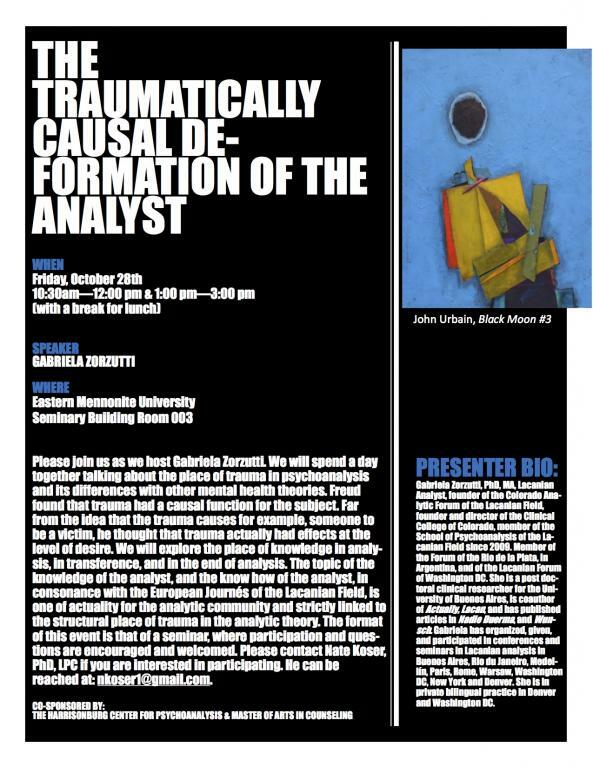 We studied Freud and Lacan clinically, not academically, that is we knew of its effects, conclusive effects. The study of the theory was always accompanied with the clinical experience, in other words, the clinic summons the theory, makes it give its reasons. 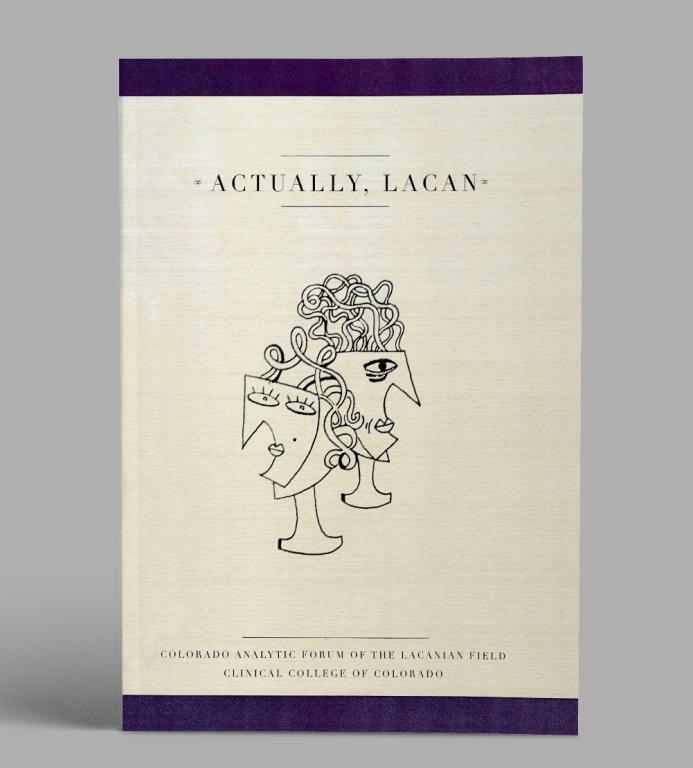 What is Lacanian analysis? It is a non-standard cure for unsatisfactory ways of living. When desire is inhibited, anxiuos or symptomatic, people suffer from a life where desire seems out of reach. Analysis is a space to experience what happens when we listen to what we say, a chance to say yes to desire, for a life with desire is worth living! 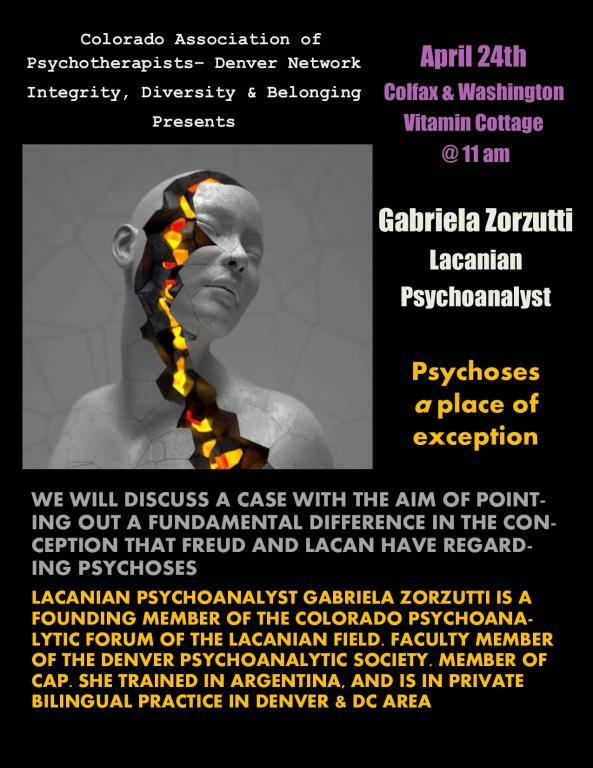 I am a School member of the School of Psychoanalysis of the Forums of the Lacanian Field since 2009, a member of the Foro Analítico del Río de la Plata, Buenos Aires, Argentina; as well as member of the Lacanian Forum of Washington D.C. I have given, participated and organized international talks and conferences in Denver, Washington D.C., New York, Buenos Aires, Rio do Janeiro, Rome, Paris, Warsaw and Medellín. I moved to this country 11 years ago and have a bilingual (English and Spanish) private practice in the down town Denver area and in Washington D.C. 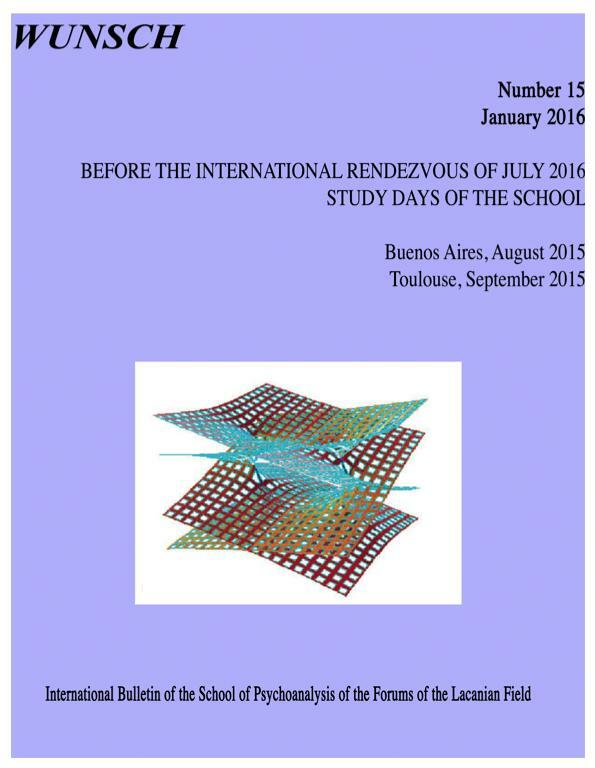 I have been part of the Doctoral Clinical Research team of the Universidad of Buenos Aires, Psychology Dept. since 2015. 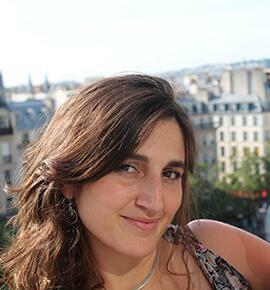 I received and MA in Clinical Psychology in 2006 from the Universidad Nacional de Mar del Plata, and I am scheduled to receive my PhD in Psychoanalysis from the Universidad de Buenos Aires this year. Soy una psicoanalista lacaniana y argentina. Mi formación comenzó muy temprano, mientras estaba aún en la secundaria. Fue entonces que comenzó mi propio análisis, y este encuentro cambió mi disposición para con la vida. Mientras iba a la universidad en mi país, comencé a estudiar psicoanálisis en grupos de estudio, y continuaba mi análisis. Estudiábamos a Freud y a Lacan clínicamente, no académicamente, quiero decir, con precisa atención en los efectos del análisis, efectos conclusivos. 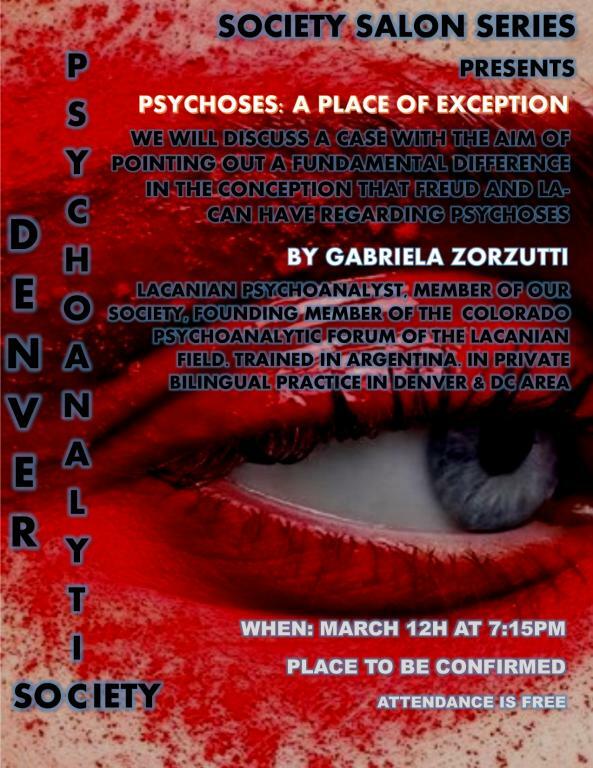 Qué es el psicoanálisis lacaniano? Es una cura fuera del estándard. un lugar donde experimentar lo que ocurre cuando uno se escucha, una chance de decirle sí al deseo, y lógicamente, la vida con deseo es otra! 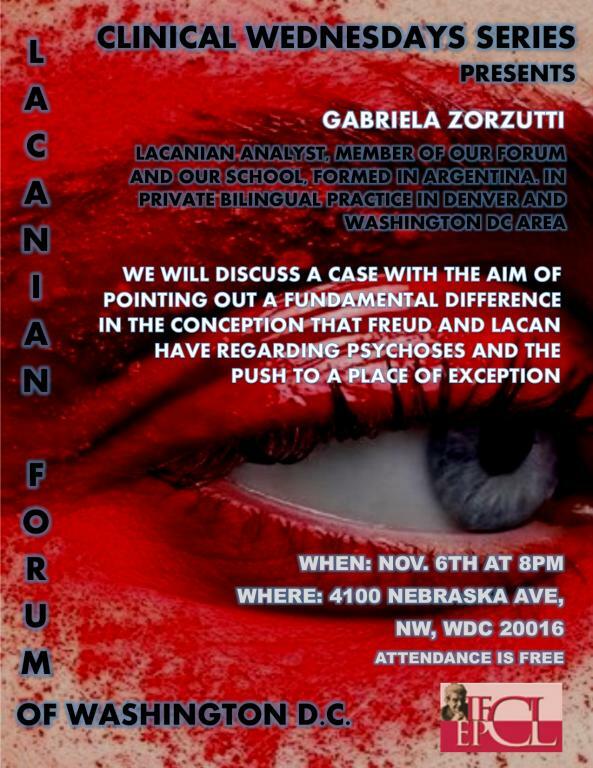 Soy miembro de la Escuela de Psicoanálisis de los Foros del Campo Lacaniano, miembro del Foro Analítico del Río de la Plata, Buenos Aires, Argentina; Así como miembro del Foro Lacaniano de Washington D.C. 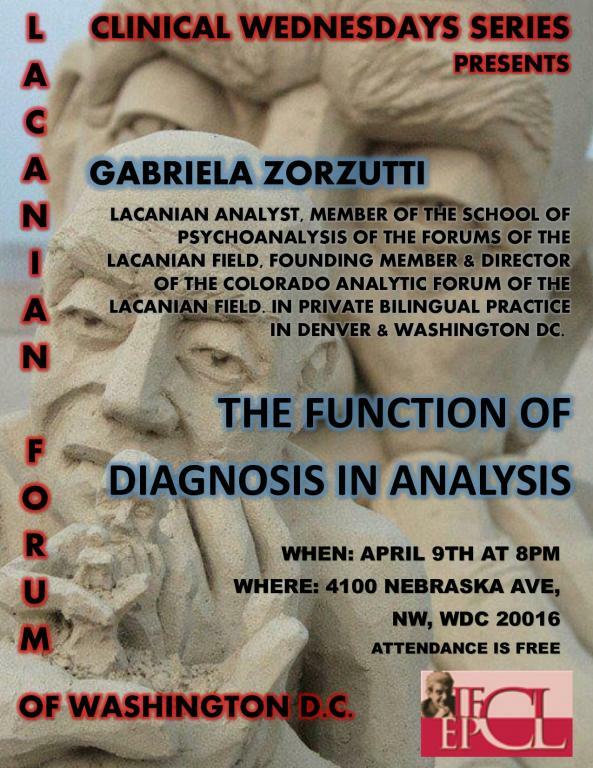 He participado y organizado charlas y conferencias internacionales en Denver, Washington DC, Nueva York, Buenos Aires, Río de Janeiro, Roma, París, Varsovia y Medellín. Me mudé a este país hace 11 años y tengo una práctica bilingüe (inglés y español) privada en el centro de la ciudad de Denver y en Washington DC. 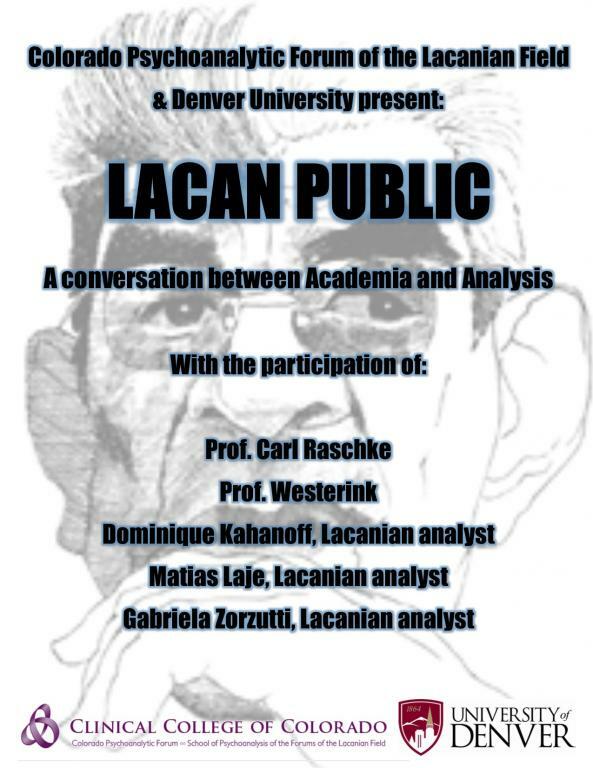 The Clinical College of Colorado is proud to be the first place in the state to offer Lacanian analytic formation.